Ayer’s Cliff (Québec) J0B 1C0. If you have any questions or need more information please call 1 866 838-4707. The SIN is mandatory if you wish to receive a RL-24 slip for tax purposes. As Camp Massawippi, the Quebec Camp Association or certified agents will take pictures and (or) film of various activities involving my child during his/her stay at camp, I hereby authorize the use of this material, in whole or in part, for advertising or promotion purposes (brochures, magazines, newspapers, television, social media, etc.). All materials used remain the property of Camp Massawippi or the Quebec Camp Association. *Please refer to the attached Fee Chart to determine if you are eligible for a rebate for low income families. To benefit from the rebate you must send us a copy of your Notice of Assessment - Revenue Québec (MANDATORY). Adapted bus transportation is available between the MAB-MACKAY Rehabilitation Centre and Camp at a cost of $40 per return trip. Drop-off and pick-up from Mackay Site, 3500 Decarie Boulevard, Montreal. Departure: The bus will depart from Montreal at 2 pm. Campers must be there 45 minutes ahead of time. Return: The bus will leave camp at 12 pm and return to Montreal around 1:30 pm. *Return time may vary depending on traffic and weather conditions! Yes, I will use the Camp bus. Adapted waterskiing is offered to all campers twice a week as part of our regular programming. However, for those campers who LOVE adapted waterskiing, the Water Ski PLUS Option is for you! By choosing this option, not only can you water ski twice a week with all the other campers, but you can also ski in the evenings as well as on the weekends during Visitor’s Day (Session 2 and 3 only). By taking this option you will ski 3 more times in Sessions 2 and 3… and 2 more time in Session 4. Minimum of 8 campers required to offer the option. Add up all of the checked services above (Sessions, Transport and Waterski) minus your 100$ deposit that you need to send with the completion of this form(non-refundable) and you will have your total balance. Are you, or have you ever been a client of the MAB-Mackay Rehabilitation Centre? I confirm that I am aware of the conditions for payments, refunds and other details mentioned in this document. 1. A deposit of $100 (non-refundable) must be paid at time of registration. The deposit is non-refundable if the client cancels, but is refundable in the event of cancellation by the camp. The camper will be officially registered upon receipt of this completed form, accompanied by the deposit. 2. We will send you a detailed statement as well as medical forms to be completed, which are to be returned as soon as possible in order to complete your file. 3. Complete payment must be received at least 30 days before the start of the selected session. 4. We accept cheques, money orders or cash. Cheques should be made payable to: Camp Massawippi. Post-dated cheques are accepted. 5. 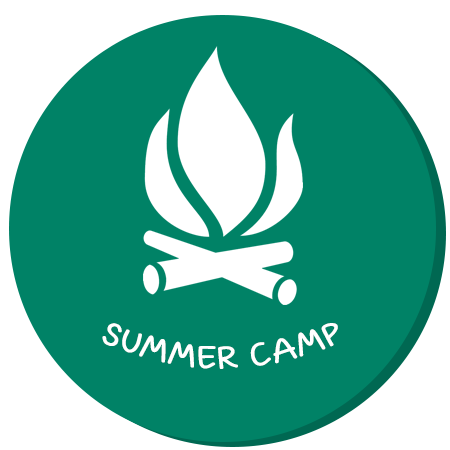 Camp fees will be 100% refunded (except the deposit of $100) in the event of cancellation more than 30 days before the session, and 50% for cancellation between 15 and 30 days. Camp fees will not be refunded for cancellation less than 15 days before the start of the session except for health reasons. 6. In the event of cancellation for health reasons (medical proof required), Camp Massawippi will refund all fees, less the deposit of $100. In the case of an early departure for health reasons, a refund will be issued prorated to the number of days spent at camp. "Les Campeurs du Camp Massawippi ont accès au tarif réduit pour les familles à faible revenu, offert avec la collaboration du Ministère de l’Éducation, du Loisir et du Sport (MELS) dans le cadre du Programme d’assistance financière à l’accessibilité aux camps de vacances. Voir le rabais applicable à votre situation sur le formulaire de réservation."